BMB Bahrain Middle East Bank » News » BMB bottom line surges by over 90%. New initiatives deliver as planned. 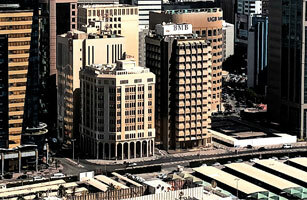 Manama, Bahrain (24 April 2012): Bahrain Middle East Bank (B.S.C) today announced the results for its three month period ending March 31, 2012 – with net income increasing by nearly two fold to reach US$ 1.7 million as compared to US$ 0.9 million in the same period of 2011. Following its remarkable successes and turnaround witnessed over a short period of time pursuant to a new Management take over in 2009, the Bank’s performance was in line with the broader plan set for 2012 – with a growth in depth and scale of activities that were already successfully tested and proven in 2011 as a part of its Phase I strategy roll-out. The Bank’s new model provides for the foundation necessary to carry-out multi-dimensional business activities that features viability, sustainability, scalability and diversity in sources of income.